For chefs, home cooks, restaurant owners, bake shops, manufacturers of food products. 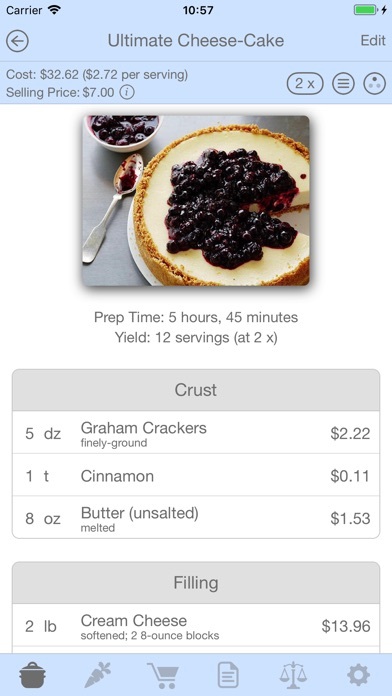 With Salt & Pepper, you can: Create recipes with an ingredient list, procedure, yield, preparation time, notes, and photos/videos. Choose your recipe ingredients from your dynamically-filtered master ingredient list, then select various preparations (such as "finely-diced" or "sautéed"), from a pick-list of over 40 options. Enter costs for each ingredient in your recipe, and Salt & Pepper will display the total cost of the recipe, and the cost per serving. Set a recipe's selling price, and Salt & Pepper will calculate the mark-up and profit information. You can also add "other costs" to your recipes, which can be a percentage of the total ingredient cost, or based on quantity, such as per serving, per batch, or per unit." Use the Suppliers screen to create, edit, and delete ingredients. Changes made to an ingredient's name, price, allergens, food energy, density, or usable portion are applied to all recipes containing that ingredient. You can organize your ingredients by supplier, and further by category. Record your inventory, and set minimum values. 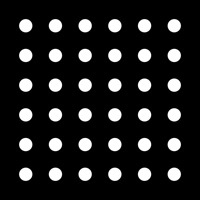 Salt & Pepper will calculate the monetary value of each stock item, and the total value of your entire inventory. Scale your recipes up or down, or to a desired yield. The amount and cost of each ingredient, and the total cost of the recipe, are adjusted accordingly. Separate a recipe's ingredients into multiple sections, such as "For the Cake", "For the Frosting", and "For the Ganache". Re-order your ingredients and preparation steps by dragging them. Use one recipe as an ingredient in another recipe. When "Recipe A" is used as an ingredient in "Recipe B", the cost, allergens, and food energy of "Recipe A" become part of "Recipe B" (based on the quantity used). Duplicate recipes, in order to experiment with multiple variations. Track the expiration dates of your ingredients. If you choose, Salt & Pepper will notify you before your ingredients expire. Enter densities for your ingredients. Densities allow the calculation of a recipe's cost or calories when an ingredient is purchased by weight, but the recipe measurement is in volume. Manage shopping lists. 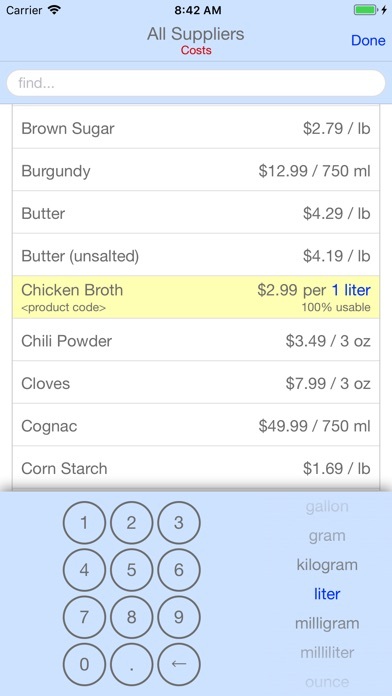 You can add ingredients to your shopping lists directly from your recipes. Quantities from multiple recipes are automatically summed. You can arrange your store's aisles to match the physical stores at which you shop, and you can arrange your ingredients in the order that they appear on the actual store shelves. Create notes, with checklists, photos/videos, and a due date (with alarm). Create custom categories for filing your recipes and notes. A recipe or note can belong to multiple categories. For meal planning, custom recipe categories can serve as menus, such as "Rehearsal Dinner Menu". Link your recipes and notes to related recipes and notes. Share individual recipes, suppliers, shopping lists, and notes with co-workers, family, and friends. When changes are made to a shared item, everyone receives the changes. 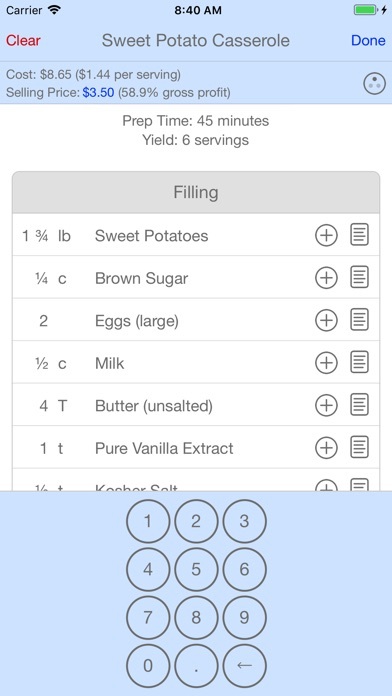 Print your recipes, suppliers, shopping lists, and notes. E-mail recipes and notes. You can send them in PDF format, and as Salt & Pepper data files, which the recipient can import into Salt & Pepper. Use the Conversions screen to convert units of weight, volume, and temperature, and to perform price comparisons. 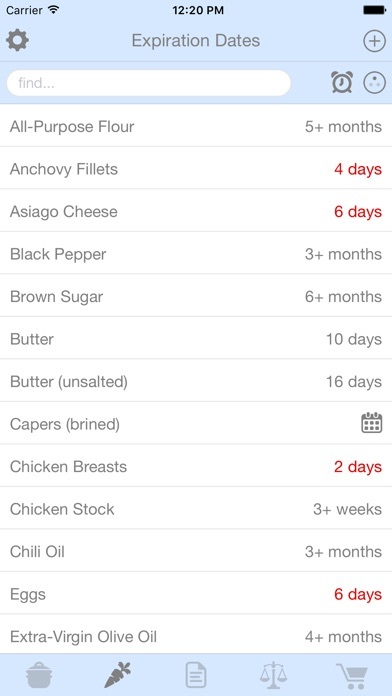 Sync your recipes, suppliers, shopping lists, and notes between all of your iOS devices. Salt & Pepper contains no advertisements. This is so helpful to me as I am a home baker. How do I get on my iPad without purchasing again? I wish there was a way to change the currency. I don't live in the states so the US dollar currency is useless to me. Other than that, great app! 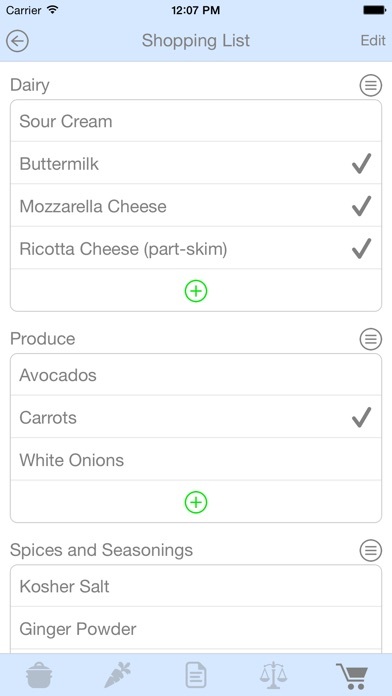 Was very excited and pleased with this app, until realizing, after much time invested, that not all ingredients were transferred to the shopping list from a recipe. A tragic glitch. I love this app it is super awesome, but... it isn't easy to use. It's a little buggy. I want to use this for my business but it isn't easy enough to use yet. If this were worked out it would be an amazing tool for business. I'm having trouble with the costing piece. It's buggy. In my ingredient bin I've set costs and the item will show up in recipes but the cost info won't travel with it. Cost does not register in the recipe portion. I sell homemade candies and spent hours making an excel spreadsheet - that kept having formula glitches. This works great and it is easy to change servings and get updated values so I can calculate a profitable retail cost - it also helps me check my margins if I want to offer a discount. Now, if the creators would make a version for home crafters where we could input costs on items like beads, fabric, labels, etc that would be FANTASTIC. I have an in home bakery and this helps me keep up with how much each recipe costs me to make down to the tea spoon. Helped me adjust prices to make sure I profit off of my things! Only thing I do not like is how it adds an ingredient every time you type one on the recipe card. I have "eggs" stored but sometimes I type "egg" and it doesn't know the cost anymore and adds it to my list of ingredients. Other than that I love it! This is a great app, especially since I have just started my catering business. I like it so much that I paid for the full version. There is one option I would like to see in a future update. When tapping on an item from the recipe screen to add it to my shopping list, it would be nice to add the quantity from that recipe (for example, 5 apples) so when at the store, I don't have to go back into the recipe to see how much I need to buy. Also, if I have two different recipes where I've added apples to my shopping list (one requires 5 and the other requires 2) it would be helpful for it to recognize the same ingredient and just add 2 to the number of apples I need. Thanks for an AWESOME app! This is an excellent app with lots of useful features, and is extremely reasonably priced for those features. My one complaint is that you have to scroll and choose a number to be entered, rather than just being able to enter it with the keyboard. If it weren't for this, I would give it five stars.